Assemblage No 4, Fanclub Van Doesburg at Concrete Store, Amsterdam. A Theo Van Doeburg inspired project - an experimental architectural & social collaboration between 16 international artists. Generously presented independently by A Gallry Named Sue (The Hague), MAP (Blue Mountains, Australia), & IS-Projects (Leiden). Tape work by Daniel Göttin. 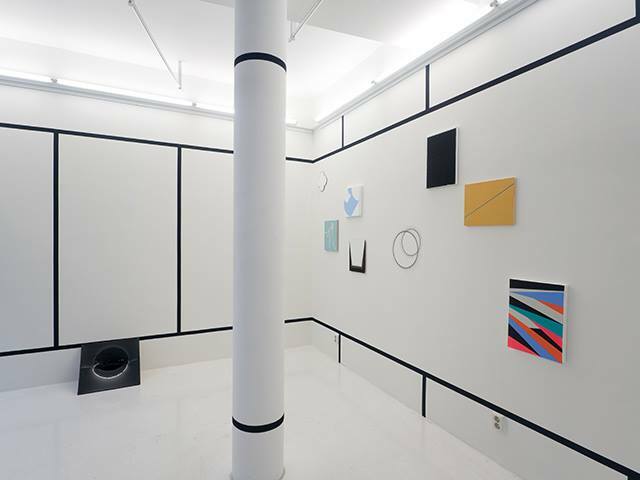 Artists: Richard van der Aa, Deb Covell, Georgi Dimitrov, Iemke van Dijk, Jasper van der Graaf, Billy Gruner, José Heerkens, Peter Holm, Arjan Janssen, Kyle Jenkins, Karin Lind, Roland Orepuk, Serhiy Popov, Tilman, Jan Maarten Voskuil, Guido Winkler.